Who made a ham over the holidays and has leftovers? Here is a list of easy ways to use those ham leftovers up. All of these recipes I have either tried, plan to try, or meet the needs of a busy home. Have you thought about freezing some of your leftovers? Then, you can make some of these recipes this week and then some later. No reason for a perfectly delicious ham to go to waste. Do you struggle with getting dinner on the table? I can teach you how to meal plan in five simple steps. Can I tell you how brillaint you are!! I sat down at the computer this very moment to look up ideas for dinner tonight and our left over ham. I was, of course, thrown off course by heeding my addictions and checking the made by you Monday and there was your list! Thanks for all the great recipes for leftover ham! I’m going to try the Ham and Cheese Stromboli. Awesome, Susan! Let me know how it turns out. Thanks for including a link to my recipe; what a fun surprise!! Joy in my Kitchen- we love your Cheesy Ham Pasta Bake! So easy and so yummy. If you are NOT already a Follower of Elements Interiors….HELLEEERRRR! Thanks for linking up at Creative Juice. Hope to see you back tonight! The hams were so cheap we bought and extra one for the freezer. I’m going to enjoy having new recipes to use it with. How kind of you to post them all. Awesome Pamela! I am so glad you find it useful. Thanks for posting the recipes, I just picked up a huge ham at Shoprite today and I just know there will be a LOT of leftovers!!!! Thanks for sharing! That looks yummy. Perfect way to use leftover ham! Come visit us this week. We have wonderful things to share for spring. We bought a lamb, but I’m going to grab a ham on monday and stage some simple dinners thanks to you. 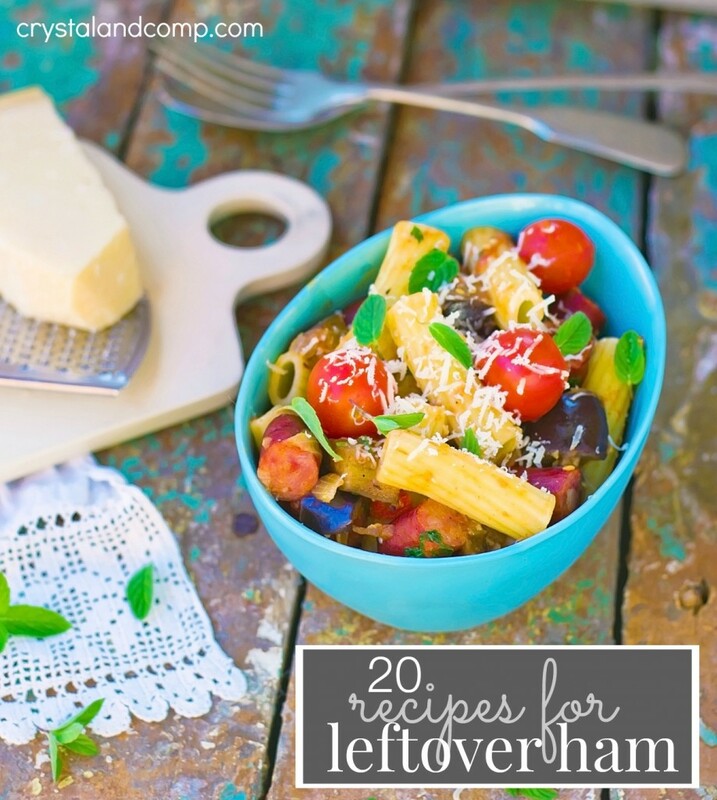 What an awesome collection of recipes for leftover Ham. Hope you have a wonderful week and thank you so much for sharing with Full Plate Thursday. These are great recipes. I love that they are all in one place. I have a link party called Wednesdays Adorned From Above Blog Hop and would love to have you share this with everyone. It runs from Wednesday through midnight Sunday. Here is the link to the party.